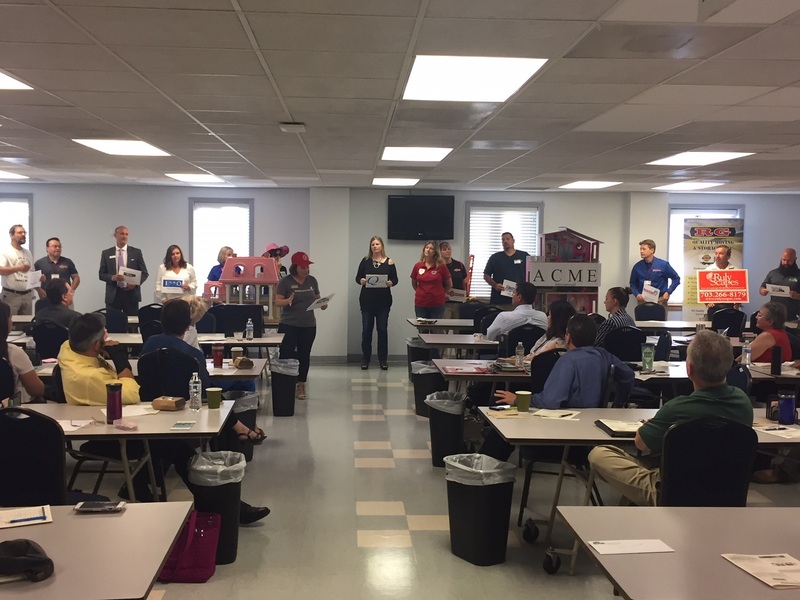 The Northern Virginia Business Alliance is a powerhouse BNI chapter of 40 active members which meets Thursday mornings in Centreville, Virginia to share ideas, and to find ways to help nuture and grow our chapter and the member businesses. This BNI chapter includes a 19 person Home Services Power Team, a 15 person Business-to-Business Power Team, a group of experienced Financial Service professionals, a diverse Personal Services Team, and a very strong Leadership Team. There is no cost to attend for First Time attendees, and local professionals who seek to build a referral based business should attend a meeting to see if we’re the right fit for you. Join us for a networking lunch for great food, a 10 minute presentation, and an opportunity to meet new people. There is no fee to attend as a guest except the cost of lunch and tip for the server. 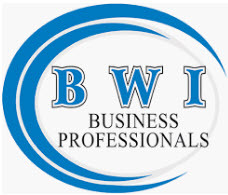 BWI Business Professionals (BWI Biz Pros) is an independent group of local business people who formed to maximize the businesses of our members through qualified referrals. We are an industry-exclusive organization; only one member of any profession is permitted in the group. On the 2nd Tuesday of the month, in lieu of our usual lunch meeting, we host a happy hour at a local establishment in order to grow our group and give local businesses an opportunity to network without a fee. We promote and encourage the “one-to-one” technique of getting to know the business of other members. Through regular lunch meetings, our monthly happy hour, and independent coffee meetings, relationships are built, and thus we all become better referral partners for everyone in the group. We encourage potential new members to join us at our lunch meeting &/or a happy hour to get to know the existing membership. Any potential member is evaluated by the membership committee to determine how we can help that person grow his/her business and if it’s a good fit for both parties. Our annual membership fee is reasonably price for a small business owner. Those funds are used to further our networking and for the occasional charity event. Security cleared professionals please join us at the All Clearances Cleared Job Fair Thursday, May 2, from 2pm – 6pm at the Westin Tysons Corner. Our cleared facilities employers include Belcan Government Services, CenturyLink, DynCorp International, Enterprise Resource Performance, Exostrategies, EY, FEDDATA, Hexagon US Federal, Leidos, Mission Essential, OBXtek and more! Opportunities for Linguists, Intel Analysts, Cloud, Electronic Warfare, Logisticians, Test Engineers, Cyber Security, Contracts, Database Management, Software Engineers, Network Operations, Systems Engineers, Help Desk, Program and Project Managers, Software Developers, System Administrators, Geoint, Database Administrators, Financial Management, Administrative, Physical Security, Technical Writing and more. Free professional Resume Reviews with Air Force veteran Patra Frame. For more info and to pre-register visit https://clearedjobs.net/job-fair/fair/94/. This event is for individuals with an active or current security clearance. Get the tools your business needs to succeed, and do it with a delicious lunch from Tony’s Restaurant. 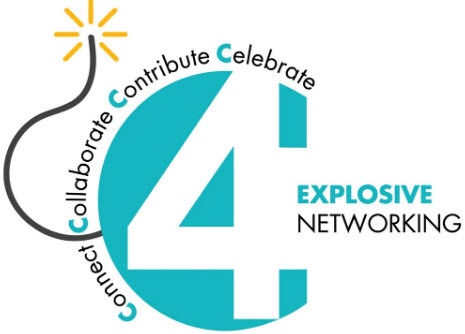 Meet local business owners, business leaders, local government representatives, and more at one of Carroll Counties must-attend networking events for 10 years running. Networking, Lunch, and Educational Speaker. $20 for lunch via pre-pay registration or $23 at the door. A plated lunch of sushi roll and hibachi with a salad and drink are included. Please reply to this email if you have any dietary restrictions or food allergies. Join fellow Small Business owners and managers to build and grow your network. THRIVE! Business Communities offer distinct advantages to it’s members. How? Reduced Time Commitment: Our groups meet every OTHER week, which provides members a much more manageable commitment level and also allows you to stay focused on your business. Culture: It’s hard to describe culture, but whether it’s good or bad, you often know it when you see it! ​Thrive! is a community of professionals who truly believe that if we can help each other grow our businesses, the returns will be ten-fold. Our group is lively and fun with a fresh approach to business development. Education: Throughout the year and at every meeting, we provide an educational and professional development component to help our members grow their business and enhance their professionalism. Quality vs. Quantity: Our group leaders are not incented to drive members, like some referral groups. So, our leaders are dedicated to finding quality members, not driving a quantity of members. ​Not Just A Networking Group: Our groups host events throughout the year designed to help members get to know each other on a more personal level through social events throughout the year. Industry Exclusivity: Allows each member to serve as the go-to expert in their field, for our community. Network monthly with the Needs and Leads Networking Group to create effective referrals and introductions. Your opportunity to meet other local professionals in a comfortable, organized setting. We meet on the 3rd Thursday of each month from 11:25 am – 1 pm At Fazzini’s in Cockeysville 9811 York Rd (1 block north of Padonia Rd). Please be prompt to get the most out of your networking time. No cost to attend. No membership fee. Please register as space is capacity controlled. Questions? : Call Frank Eff at 410-357-0719. This is a wonderful group of women and men. We are all industries, entrepreneurs, small business owners, stay home moms & dads, change agents, and forward thinkers who share and support one another and/or just meet to get to know other great people. Come join us and enjoy a scrumptious lunch and great company as we change the face of networking and connecting! Share your story, learn about others and leave with a sense of belonging and contribution. Please come on time and plan to stay for the duration so we are respectful of everyone getting a full experience. Each person is responsible for their own lunch. Meter parking is available in the parking garage at Cameron & Fenton Streets. RSVP is required as the room fills up so accurate numbers is helpful.